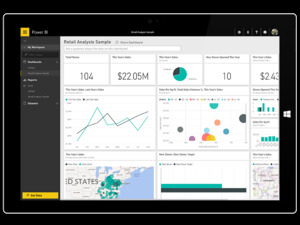 Microsoft's Power BI data visualization service is making it possible for companies to share their business information with the world in an interactive format. On Tuesday, Microsoft launched the beta version of a new publish to web feature that lets people take Power BI dashboards (which display information from a variety of data sources) and show them off on the web in a live-updating format. 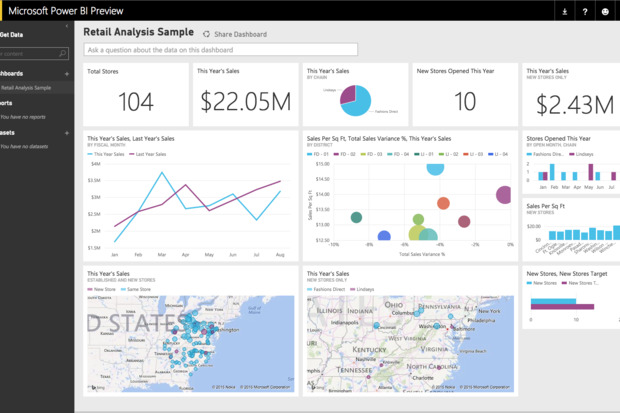 The feature means that companies' Power BI use can work double duty as both an internal tool to help employees keep track of key statistics, as well as a way to share that information with the outside world. Companies can build custom visualizations so that the dashboards they create are tailored to the work they do. There's one catch: users who share dashboards to the web will have to make sure they don't accidentally reveal confidential data. The service will prompt users to make sure they're not revealing anything they shouldn't, and administrators will be able to un-publish shared dashboards to keep information under wraps when needed. 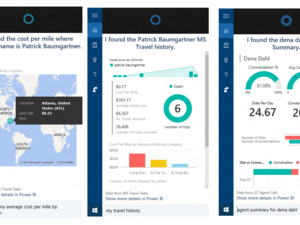 The beta feature also brings Power BI closer to its competitor Tableau, which lets users embed data visualizations on the web in a similar manner. Microsoft has been working quickly to bring its business intelligence service in line with others on the market, and this feature is one of a long line of tools Power BI needs to be a strong competitor.